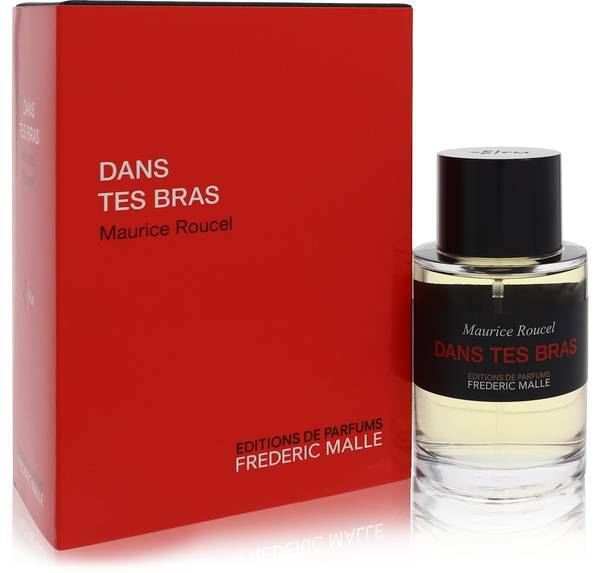 Dans Tes Bras Perfume by Frederic Malle, Dans Tes Bras, by Frederic Malle, is a woody-floral-musk fragrance for the cultured man or woman who is comfortable in their own skin. Sensuous, with a sultry side, this enticing unisex aroma enhances your personal scent into an exotic fragrance with range and striking power. The moderate sillage and longevity of this intriguing aroma wears well throughout the year and allows you to command attention just by making an entrance. The nose behind this Read More Read More uniquely appealing scent is Maurice Roucel. This luxurious fragrance made its debut appearance in 2008. A rich tapestry of fragrance notes makes up this aroma, including violet, incense, musk, sandalwood, cashmeran, pine tree, patchouli, woodsy notes, jasmine and heliotrope. The niche fragrance house of Frederic Malle launched their first scent in 2000. Since that time, they have worked with some of the world’s leading noses to create a fragrance line without equal. Dans Tes Bras is available in an understated clear glass bottle with a black cap. All products are original, authentic name brands. We do not sell knockoffs or imitations.